MESQUITE, Nev./ST. 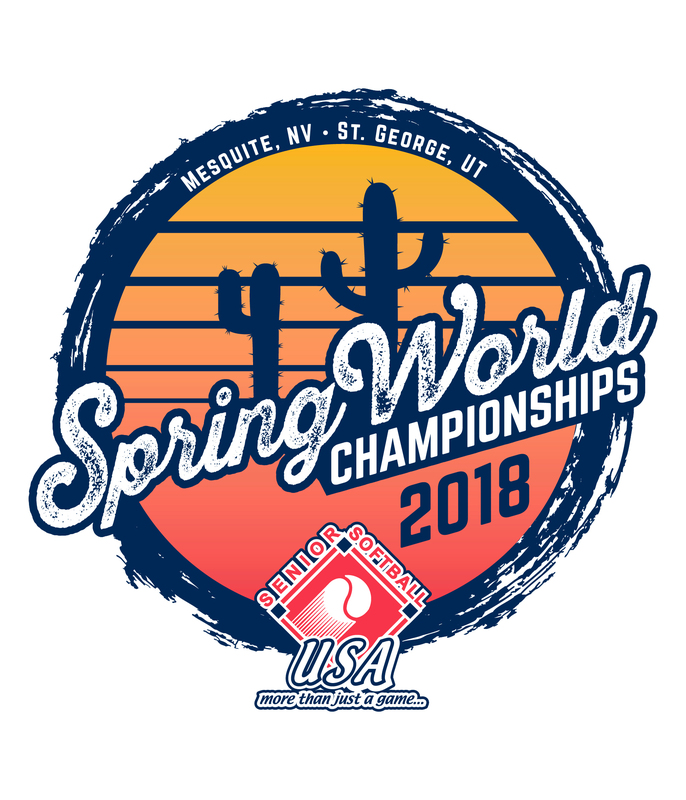 GEORGE, Utah – The 2018 Spring World Championships, sponsored by Mesquite Gaming and Adidas, marked the first TOC qualifier of the 2018 calendar year, with 114 teams in action across three complexes: The Canyons Softball Complex (St. George), Hunter Park Softball Complex (Mesquite) and Pioneer Park Softball Complex (Mesquite). The first session of the tournament, the Men’s 65-80 age divisions, featured 49 teams playing March 20-22. The tournament continued with session two, the Men’s 50-60 age divisions, as 65 teams battled it out March 23-25. Winning teams from each division punched their ticket to the Tournament of Champions, held in Florida in February 2019. Beginning with the elder statesmen of the game, six teams made up the Men’s 80 Gold division. Following a three-game mixed-round robin, three teams each split off into the Men’s Major and AAA divisions. Offense was on full display in the three-team Men’s 80 Major division, as top seed Fairway Ford (CA) defeated Emerald 80’s (WA) 30-27 in the “if” game, avenging their 27-26 loss in the championship game. Scrap Iron Gray Berets (CO) rounded out the three-team division. The top seed also took the three-team Men’s 80 AAA division, as Top Gun Diamond 80 (CA) went 2-0 in bracket play, including a 25-8 victory over Git-R-Done 80 (CA) in the championship game. Forever Young Diamonds (UT) finished third. The eight-team Men’s 75 Gold Division also featured a three-game mixed round robin, with three teams each breaking out for bracket play in the Major and AAA divisions, while the Major Plus division saw a best two-out-three game series. The Men’s 75 Major Plus bracket featured back-and-forth action, Omen 75 (CA) and Scrap Iron 75 Legacy (CO) split the first two games of the best two-out-of-three game series. Scrap Iron took the opening game with ease 20-12, while Omen clawed back to even the series with a hard-fought 14-12 win in game two to force the third and decisive game. In the rubber match, Omen completed the comeback, running away with the “if” game 17-9. Scrap Iron Beams (CO) posted a 3-0 record in bracket play to win the three-team Men’s 75 Major division, including a 24-15 victory over The Zone (UT) in the championship game. Las Vegas 75 Coyotes (NV) finished in third place. Top Gun 6 Bits (CA), the No.1 seed in the three-team Men’s 75 AAA division, went 2-0 in bracket play, including an 18-11 win over Git-R-Done 75 (CA) in the championship game. Magic Stuff 75’s (UT) rounded out the three-team division. The eight-team Men’s 70 Silver division played a mixed three-game round robin to seed, as six teams would go off for the 70 AAA division, while the 70 AA division saw a best two-out-three game series. Due to an injury delay and rainout, co-champions were crowned in the six-team Men’s 70 AAA division. Top seed Git-R-Done 70 (CA) won their first two games in bracket play to reach the championship game, while Elite 70’s LVSSA (NV) won three straight games in the elimination side of the bracket to reach the championship game. Elite 70’s LVSSA continued their strong play with a fourth straight win in their fourth game of the final day of action, defeating Git-R-Done, 18-14, in the championship game. Git-R-Done had defeated Elite LVSSA earlier in the bracket 14-11, dropping Elite LVSSA down into the elimination bracket. With no “if” game played due to injury delay and rainout, Git-R-Done and Elite LVSSA would go on to share the title. PDC Yankees 70’s (CO) finished in third place. Doughboys (NV) swept California Oaks by scores of 16-13 and 17-8, respectively, in the Men’s 70 AA division. Eight teams made up the Men’s 70 Platinum division, with six teams going off for the 70 Major division and two teams squaring off for the 70 Major Plus division. After dropping their first game against SoCal Gusto (CA) 17-10, Omen 70 (CA) won back-to-back games, by scores of 25-19 and 18-3, respectively, to win the best two-out-three game series for the Men’s 70 Major Plus title. Sons of Pitches (CA) went undefeated for the tournament, going 2-0 in seeding play, before rattling off three straight wins in bracket play, including a 15-7 win over Sidewinders 70 (AZ) in the championship game of the six-team Men’s 70 Major division. Top seed Tri-State Diamondbacks (NM) finished in third place. The largest division of the first session, the 12-team Men’s 65 Silver (AAA/AA) division, saw four teams go 2-0 in seeding play. One of the four teams, Sidewinders Desert 65 (AZ), continued their strong play into the bracket, winning four straight games, including a 26-23 win in the championship game over Scrap Iron 5280 (CO). Modesto O’s (CA), No Guts, No Glory (CA), and OC Mustangs (CA) were the other three teams that entered bracket play undefeated. After going 0-2 in seeding play, Scrap Iron 5280 bounced back with a 5-2 record in the bracket, with both losses coming at the hands of Sidewinders Desert, en route to their runner-up finish. 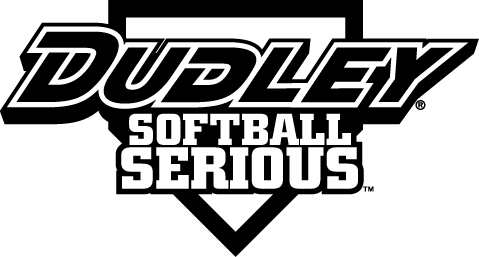 Another team that went 0-2 in seeding play, Speed Limit (UT), also dropped their first two games in the three-game guarantee bracket, before going on a mini-run, winning three straight elimination games to eventually finish in fourth place. No Guts, No Glory finished in third place. The seven-team Men’s 65 Platinum (Major Plus/Major) division was won by top seed R & R 65’s (CA). The team went 2-0 in seeding play to lock up the No.1 seed, before winning three straight bracket games, including a nail-biter 24-23 in the championship game over Top Gun 65 Mavericks (CA). Following an 0-2 showing in seeding play and a loss in their first bracket game, Arizona Ancient finished in third place after winning three straight elimination games. Continuing with the second session, West Coast Water 50’s (NV) and Cornerstone 55 (OR) played in a best two-out-three game series for the Men’s 50/55 Major Plus division, with West Coast Water sweeping the series by scores of 24-15 and 29-12, respectively. The four-team Men’s 50 division saw top seed OG 50 (CA) edge out Arizona Alpha Dawgz 15-14 in the championship game. 4 The Fallen (AZ) finished in third place. The 14-team Men’s 50 AAA division was won by Thunderstruck (AZ), who posted a perfect weekend, going 2-0 in seeding play to earn the No. 2 seed, before going 4-0 in bracket play, including a 20-11 win over Grayed & Confused (UT) in the championship game. Grayed & Confused fell to Thunderstruck earlier in the bracket 19-12, knocking the team down into the elimination side of the bracket. With their backs against the wall, Grayed & Confused won three-straight one-run games, 28-27, 32-21 and 16-15, respectively, to reach the championship game. After going 0-2 in seeding play, Running Late (AZ) bounced back in bracket play with three straight wins, before losing back-to-back games en route to their third-place finish. Scrap Iron/Rocky Mountain Thunder (CO) earned the top seed in the 10-team Men’s 55/60 Platinum division after their 2-0 showing in seeding play, before rattling off four straight wins in bracket play, including a 27-25 victory over Never Say Never/Big Al’s Trucking (UT) in the championship game to cap off an undefeated weekend. West Coast Water I (NV) finished in third place after winning four straight elimination games. WPI/Wilson & Sons (ID) also made a valiant run through the elimination bracket with three wins in a row, before falling to West Coast Water. The six-team Men’s 55 AAA division saw another team register a flawless weekend, as Top Gun Hornets (CA) earned the top seed following their 2-0 record in seeding play, before going 3-0 in bracket play, including a thrilling 16-15 win over Arizona Scorpions 55’s in the championship game. The Scorpions also went 2-0 in seeding to lock up the No. 2 seed, and posted a 2-2 record in bracket play, with both losses coming at the hands of the Top Gun Hornets. KSS (AZ) bounced back from an 0-2 record in seeding play with a 4-2 record in bracket play, including three straight wins in elimination games, en route to their third-place finish. Another top seed, Southwest Bandits (AZ), also completed an unbeaten weekend, going 2-0 in seeding and 4-0 in bracket, including a 16-14 win over Arizona Scorpions 60’s in the championship game of the 10-team Men’s 60/65 Platinum division. Timberworks/Adidas 65 (CA) finished in third place. The Men’s 60 AAA division featured 15 teams, the largest division of the tournament, as Baker Boyz (CA) went 5-0 in bracket play, including a 29-11 win over the Utah Coyotes in the championship game. Following an 0-2 record in seeding play, the Utah Coyotes saved their best play for bracket games, as the team posted a 4-2 record en route to their runner-up finish. Both losses for the Coyotes came against the Baker Boyz. Los Vatos Viejos 60 (AZ) won the three-team Men’s 60 AA division, defeating Classics (UT), 26-20, in the championship game. Family (NV) finished in third place.